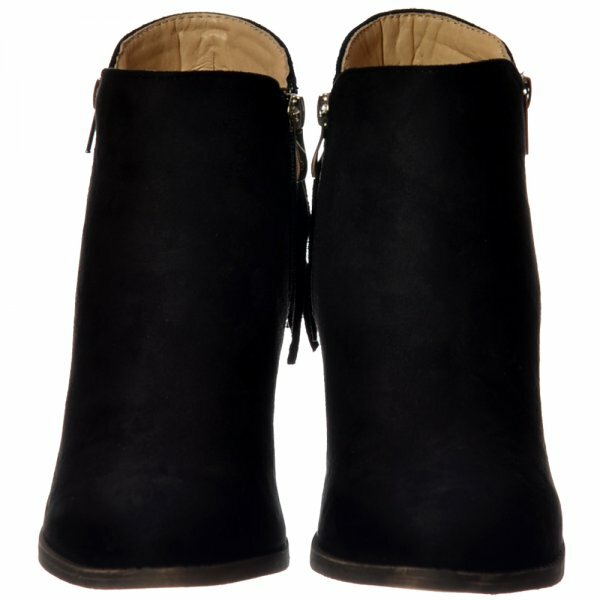 Follow This Seasons Must Have Look with These Designer Inspired Ankle Boots. 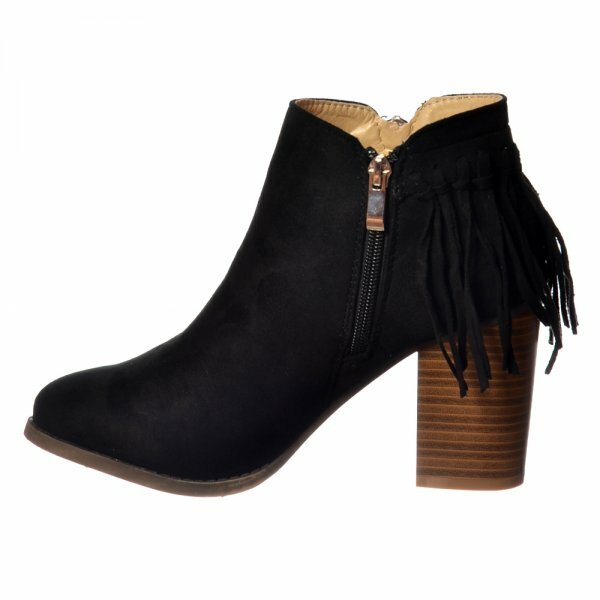 A Smart Yet Casual Boot Featuring This Autumn / Winters 'Got To Have' Tassel and Fringe Feature To The Rear. 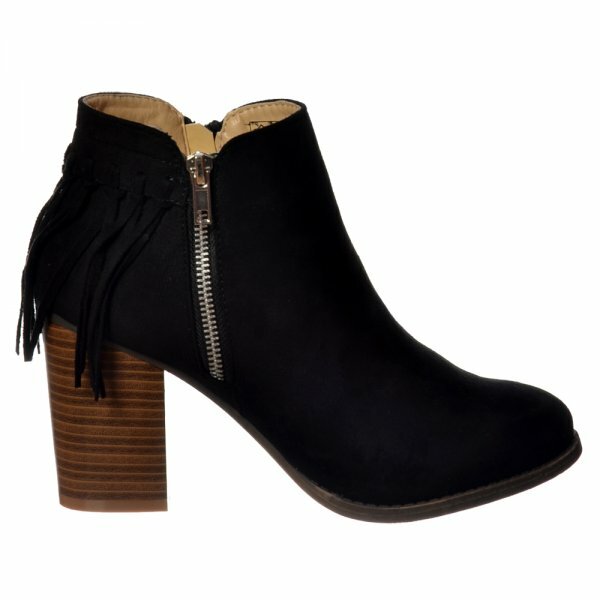 The 3.5 Inch Wearable Block Heel With Inner Side Zip Make This Boot Perfect For Daytime To Playtime. Finished in Stunning Suede With Block Cuban Heel. Choose From Black or Taupe.